Alrighty, K2SO is finally finished. Quite a bit of work has gone into this but am so happy to bring you a properly finished model - with a base and also to be able to show you how it's done! Here's the 2nd step in recreating a very small section of back alley that K2SO finds himself awaiting his next orders in Mos Eisley. As always, please let me know your thoughts and comments and I can incorporate them as possible into future videos. 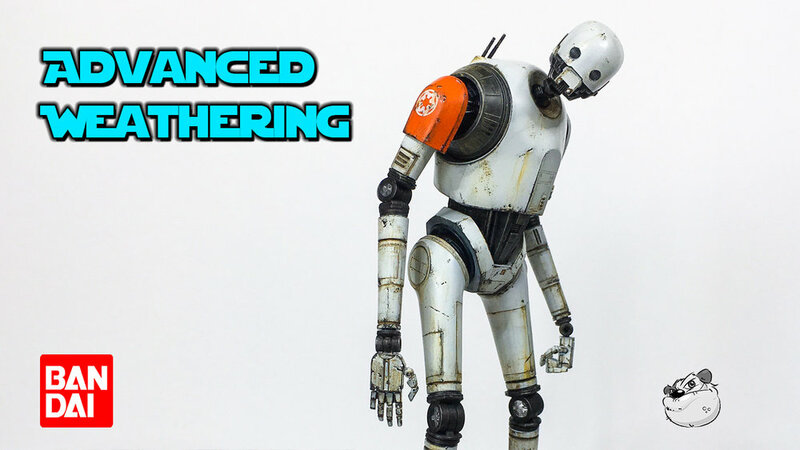 Full step by step Tutorials for Making and Painting the Base as well as Advanced Weathering for K2SO are available to my awesome supporters here! We mentioned the good folks of Hobbyco bringing Star Wars kits into Australia for us. Please ask your Local Hobby Shop for your Star Wars kits! Thanks a bunch guys and back to the Ork Wazbom Blastajet, this is going to be a Fun and it has waaaay MAWR DAKKA!! Step by Step on Constructing the Base and The Groundwork. Full Step by Step on Weathering K2SO. Bandai StarWars Model Kits K2SO Custom Groundwork Showcase is Ready!